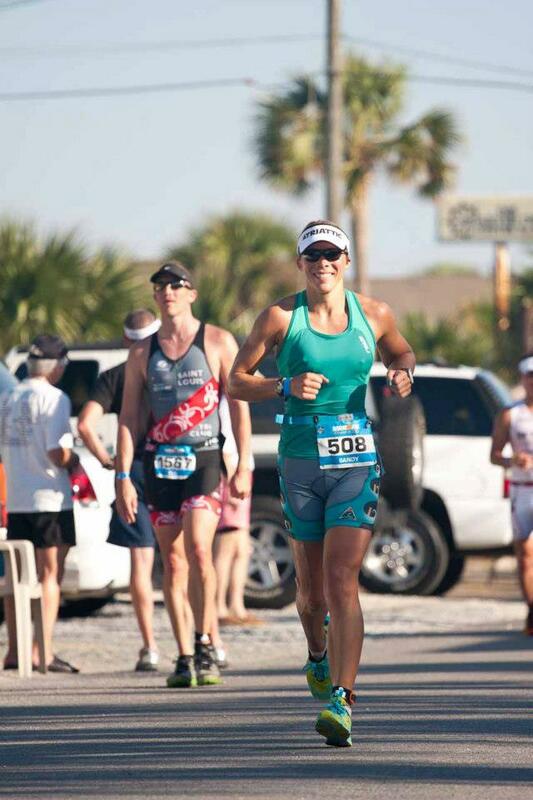 Ironman Florida is one of the most popular races on the circuit. Located in Panama City Beach, FL in the beginning of November. It is known for it's beautiful beaches, flat and fast course, and nice weather. Ironman Florida 2009 was the first Ironman for brother and sister, Michael and I (Sandy Holt). Here is a video from our 2009 journey. Click here for You Tube Video In 2010, Charlie Johnson joined the mix, and in 2012 all three were back for what turned out to be a fantastic day of racing. In June of 2011 I received my USA Triathlon Level 1 coaching certification and by July 2011 Michael and I had started Triattic, LLC. I immediately started coaching myself, Charlie and Michael. Within a few months all of us were showing big improvements and producing new PR's at almost every race. (Check back for an update on clients and results within the next few weeks). For Charlie and I our training changed in a number of different ways. We increased our total volume from previous Ironman training blocks, we focused more on race specific pacing and efforts, and we made sure we got plenty of recovery. 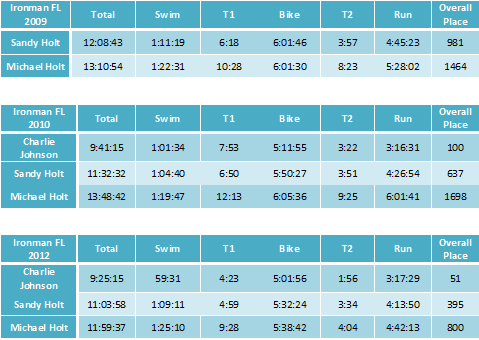 For those of you out there who think you don't have time to train for an Ironman, think again. Michael was one of my more challenging athletes to coach (due to time constraints). His schedule is very busy, he is owner and President of two company's, he has a wife and two children (10 and 14 years old), travels Monday - Friday for work and only has the weekends to spend with his family. So, how could I get him to his best shape for Ironman with as little as 10 hours a week? Quality over quantity and knowing how far and hard to push without risking injury. Michael does not have access to a swimming facility, so his only swim training comes from strength workouts and swims during events. 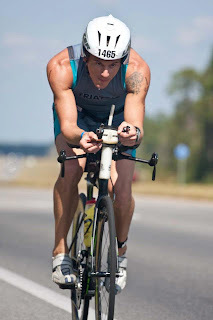 If you are signed up for Ironman Florida 2013 looking for a coaching team to help you finish or set a new PR contact sandy@triattic.com for coaching information.